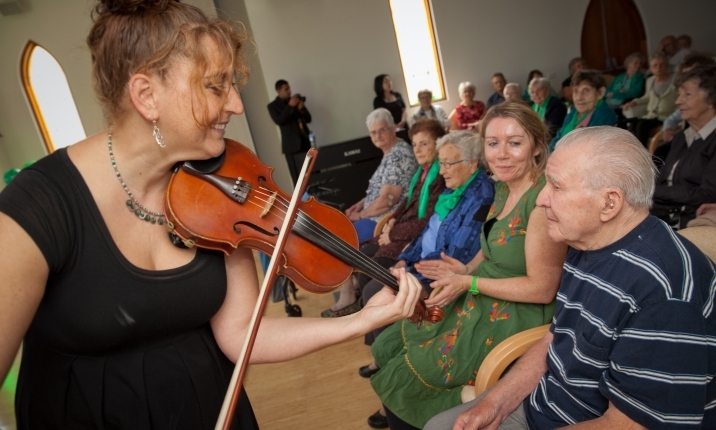 Continuing the life-long journey of music enjoyment, the Music Always program brings world-class ensembles to not-for-profit aged care and assisted living facilities across Victoria. Music Always is unique in Australia. It has been designed to deliver quality live music experiences to older Victorians through a specially-devised series of ‘in-resi’ performances. This initiative aims to positively impact audience members – uplift mood and sense of wellbeing, stimulate emotional engagement, reduce feelings of isolation, and to connect residents to a special occasion. Since the program’s inception in 2013, the Centre has delivered over 50 Music Always performances per year, reaching more than 3,000 participants annually. If your Aged Care facility would like to become a Music Always partner, please contact the Learning and Access team on 03 9207 2658.